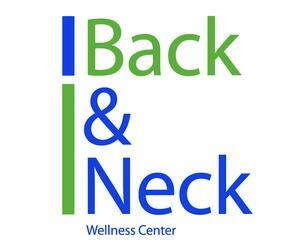 Back & Neck Wellness Center is conveniently located on the East Side of Madison on Milwaukee St, just east of Stoughton Road. We strive to offer the best chiropractic service in Madison by focusing on all aspects of wellness, including exercise, nutrition, posture, and sleeping / sitting habits. We also pride ourselves on offering excellent customer service, and a warm and friendly atmosphere. We try to make our services affordable for everyone. We do accept various insurances, but also offer competitive pricing for those without insurance. In addition, we accept Worker's Compensation, Medicare, and Personal Injury Cases. Dr. Bonnie Langrehr is a chiropractor in Madison, Wisconsin, a graduate of Palmer College of Chiropractic, and has been practicing for 25 years. She is certified to treat neck, mid and lower back problems, and extremities (e.g. elbows, wrists, ankles, knees). She also is certified to do physical therapy, which includes exercise therapy, electric stimulation, hot/cold pack therapy, and ultrasound. A visit is more than an adjustment. Her advice, the electric stimulation, and ultrasound make the treatment even more beneficial. Myth: Chiropractic treatment involves cracking my spine. Technique, explanation, experience, and RESULTS! Improvements after only one session. A Madison, WI Chiropractor winner of the Patients' Choice Awards.